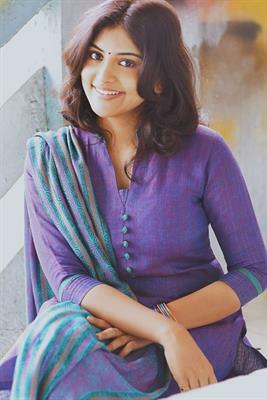 Baby Manjima who has won the hearts of the moviegoers for her screen appearance in movies like 'Madhuranombarakattu', 'Priyam', 'Sundrapurushan', 'Madhuranombarakattu' and 'Mailpeelikkavu' is gearing up to do the female lead in Prajith Karnavar's directorial debut. Manjima Mohan, the daughter of popular cinematographer Vipin Mohan and Girija was looking for an opening in movies just after completing her studies. Prajith had been keeping a good contact with Vipin's family and wished to cast Manjima in his directorial first project which has Nivin Pauly playing the protagonist. Touted to be a light hearted entertainer, then movie is scripted by Vineeth Sreenivasan. Vinod Shornur will produce the movie under his own production house - cast and crew. Manjima plays the character role of Daisy in this untitled movie. Prajith has worked as chief associate director of Vineeth in earlier ventures like Malarvadi Arts Club, Thattathin Marayathu and Thira. Vineeth is also expected to give life to a prominent character. Aju Varghese will also appear in an important role. After the pre production works, the movie will kick start from October. It would be the perfect launch pad for Manjima who has chosen acting as her career just after acquiring a degree from Chennal Stella Mary's College. Manjima has won the prestigious Kerala State Award for best child artiste for her majestic appearance in the movie 'Madhuranombarakattu' directed by Kamal. Manjima who would be looking forward to create her own space in the malayalam film industry which has already many young talents. Sharing screen space with Nivin Pauly in her very first movie in young age would also add more credit in her acting career. This would be the best opportunity for Manjima to make her second appearance in the film industry. Ever since 'Thattathin Marayathu', Vineeth and his team was waiting to do fun movie and finally the script got completed in time.